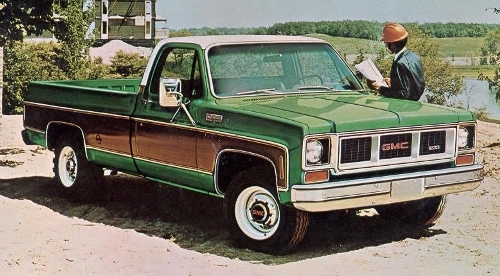 We love this generation GM truck. With its unprecedented 15 year production run of nearly one-million trucks a year, clearly we are not alone in our admiration for this workhorse. Now, nearly 30 years after the last one was produced, you still can’t run to the local grocery without spotting one. 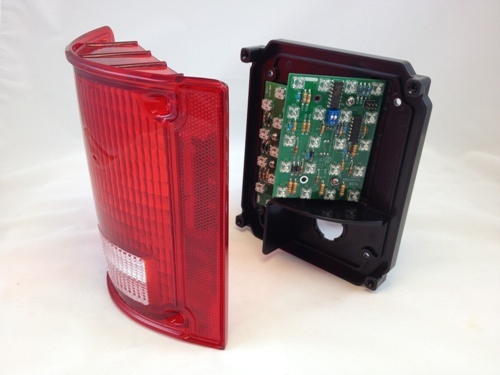 20, rugged, 4-pin, automotive grade LEDs for stop, tail, and turn signal. An additional 9 LEDs for side marker function. Darkness piercing LED back-up light. Brake lights have our attention getting, triple flash "RapidFire" function. Turn signals are sequential in the direction of turning. Awesome! Both RapidFire and sequential turn signal may be turned off individually by the end user based on preference. All new original style lens. We hate the original type foam gaskets that turns to dust after one driving season so we developed an all new silicone lens to housing gasket. Copyright 2018 | Technostalgia, Inc.